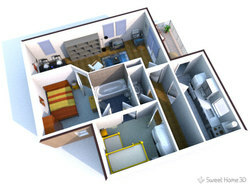 Sweet Home 3D, the free architectural design software released v4.2 with support for non-rectangular doors and windows, improvements in the background image import wizard and bug fixes. For the users who wanted to insert non rectangular doors or windows in a wall Sweet Home 3D 4.2 now fill correctly the space around doors and windows in the 3D view, whatever their shape, it’s even possible to handle complex shapes with multiple holes. 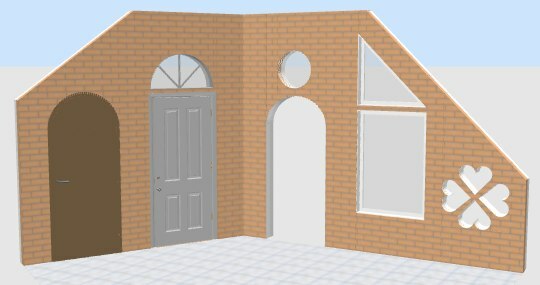 The cut out shape in the wall can be computed automatically when you import a door or a window in the furniture import wizard, or customized with the Furniture Library Editor with a SVG path. The second and the third step of the background image import wizard now display Zoom in and Zoom out buttons to let you enlarge the imported image and enter some more precise scale and origin. In the second step of the wizard, you can also apply vertical and horizontal constraints on the displayed scale line by pressing the shift key. The search engine in the furniture catalog is now able to search any substring among furniture names, categories, authors and even keywords. Many keywords were added in the default furniture catalog but also to furniture libraries. via: Sweet Home 3D 4.2 release note. For Ubuntu 13.10 Saucy, Ubuntu 12.04 Precise, Linux Mint 16 Petra, 13 Maya, Elementary OS Luna, we can install it from GetDeb repository. For Linux Mint, getdeb can be directly enabled from Software Sources -> Additional repositories. By the way, i have a question, can I use getdeb to obtain the last version of any software?, because like sweethome, it exist many software than haven’t been update for a while in the official repositories. thanks for the clear instructions. I have been using Linux for quite a while but I haven’t really taught myself how it works properly. 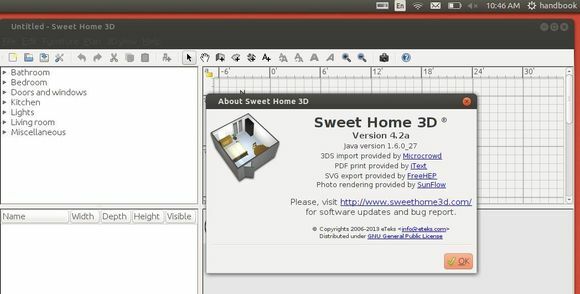 How do I update Sweethome3D? Sorry if that’s a stupid question, but I am not familiar with the code I need to write in Terminal. I’m actually using Linux Mint 16 Petra, so I’ll follow your existing instructions.